Product prices and availability are accurate as of 2019-04-20 15:33:52 EDT and are subject to change. Any price and availability information displayed on http://www.amazon.com/ at the time of purchase will apply to the purchase of this product. If you think monsters are scary, you don't know Jack! Wisecracking cryptozoologist Dr. Obadiah "Jack" Jackson has hunted plenty of dangerous creatures over the years. 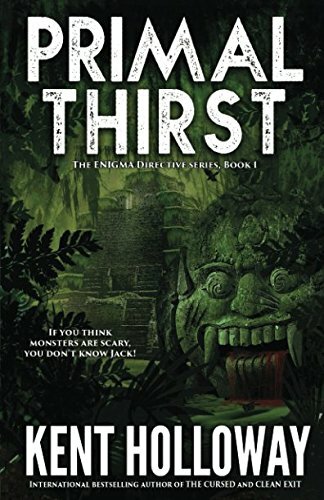 But he finds a lot more than he bargained for when he travels to Malaysia to save a beautiful missionary and her village from being ravaged by ghoulish, blood-feeding monsters straight from local legend...creatures known as the jenglot...creatures that are very dangerous, elusive, and intelligent. But that’s the least of Jack’s troubles. It seems that the blood-crazed cryptids aren't the only ones bent on using Jack as their favorite chew toy. 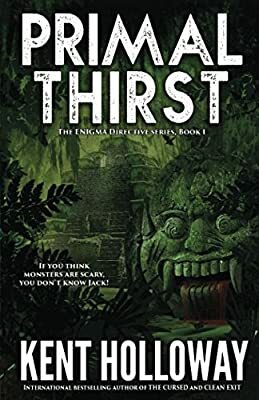 Other denizens of the Malaysian jungles have their sights set on him as well including a local witchdoctor threatened by the missionary’s message of hope and a mysterious guerrilla leader who appears to have a dark and secret agenda. Jack and his team must keep their wits about them to escape the jenglot and discover the answers to the deep mysteries surrounding their existence.